The Co-op and Scottish Renewables are set to hold annual conferences at the Scottish Exhibition + Conference Centre (SECC) in 2011. Co-op is to hold its annual spring conference at the SECC on 19 January for around 550 delegates, while Scottish Renewables will use the Glasgow venue for the first time in March. Co-op has used the SECC twice before, in January and August 2010. Both events are being held in the SECC’s Lomond Auditorium, which has capacity for 624. SECC sales director Ben Goedegebuure said: "The corporate events sector is a tough market at the moment, however we have some excellent relationships with great event organisers who want to host meetings at the SECC. Both these conferences are proven, successful events that carry with them major implications for their industries and their businesses, this is exactly the sort of business we want at the SECC." Scottish Renewables is holding its conference on 22-23 March 2011 for around 600 delegates, said the body’s director of business development Calum McCallum. A networking dinner is being held at the Hilton Glasgow, and McCallum added the SECC was selected because the 2011 conference is larger than previous events. "The conference is in its sixth year now, and it is slightly too big for a hotel as it is very much larger this year," he said. 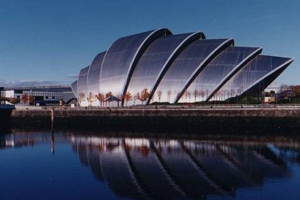 The SECC has also been selected to host four major medical association conferences in the coming three years.